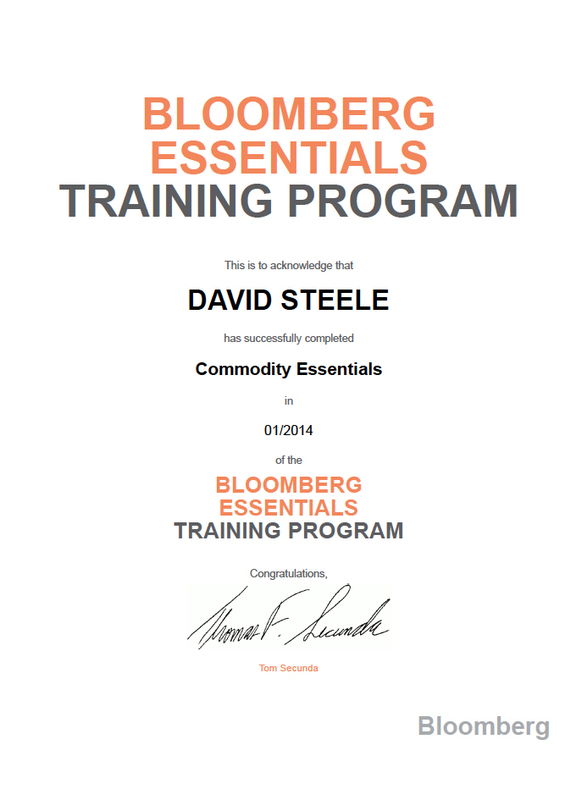 The Steele Group, LLC has been awarded Veteran-owned Small Business Status by the U.S. Department of Veterans Affairs, Center for Verification and Evaluation, Washington, D.C.
David Steele has met the eight course “Bloomberg Essentials Program” certification requirement. Curriculum includes 4 introductory core courses: Getting Started, Bloomberg News, Market Monitors and Launch Pad, API (Bloomberg data in Excel), and 4 market sector courses: Equity Essentials, Fixed Income Essentials, FX Essentials, Commodity Essentials. 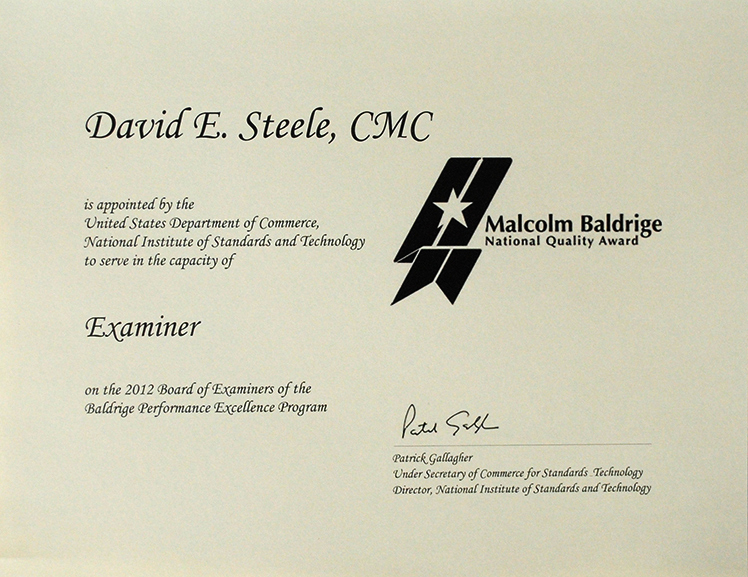 David Steele has met the requirements of the International Council of Management Consulting Institutes (ICMCI). 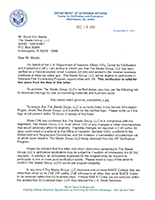 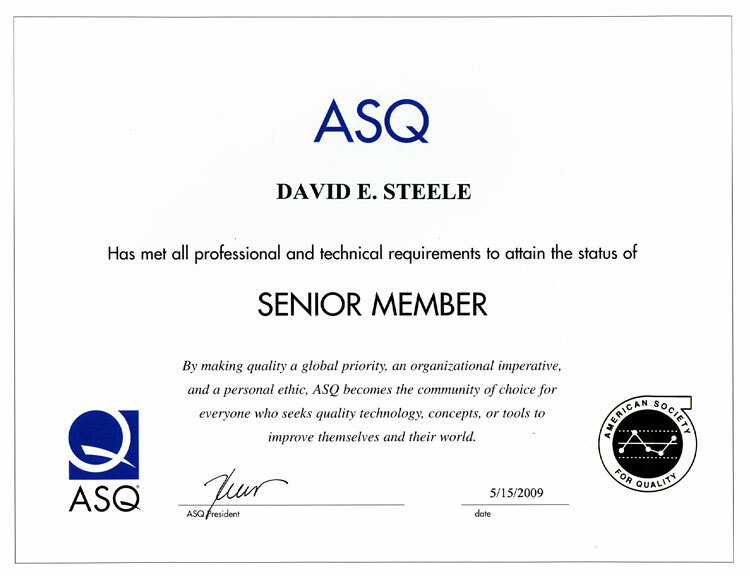 Certification #8987686 - Initial certification June 2011 and re-certified June 2014. 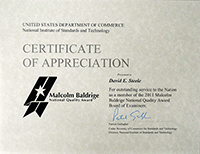 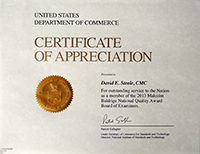 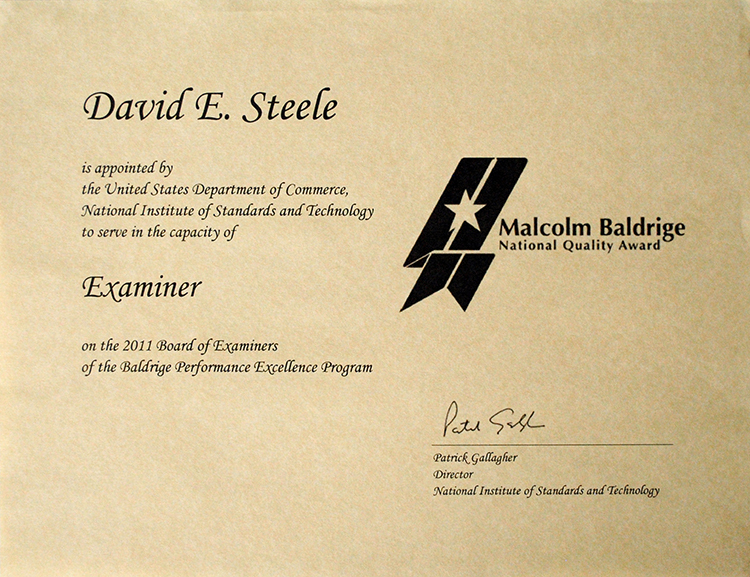 David Steele has been appointed by the US Department of Commerce as an Examiner for the 2013 Baldrige National Quality Award. 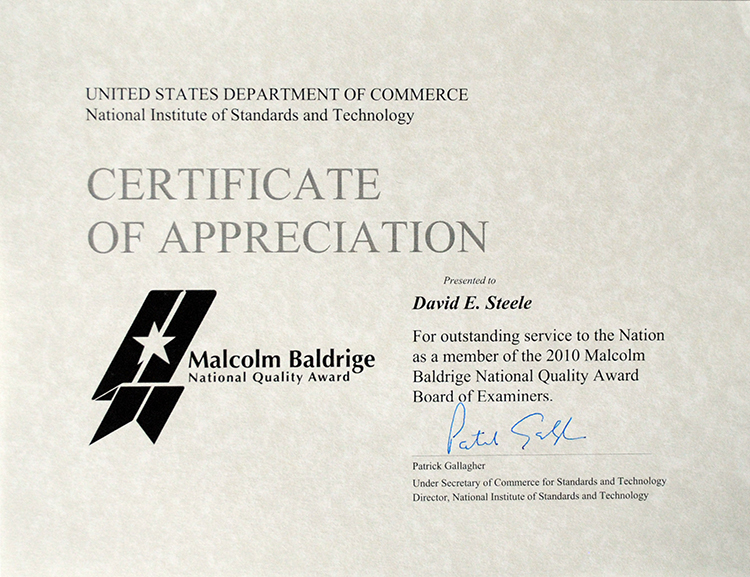 David Steele has been appointed by the US Department of Commerce as an Examiner for the 2012 Baldrige National Quality Award. 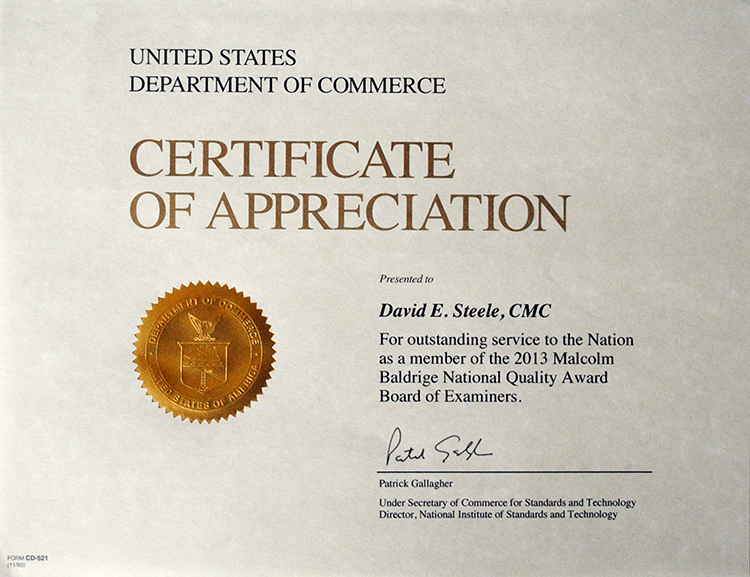 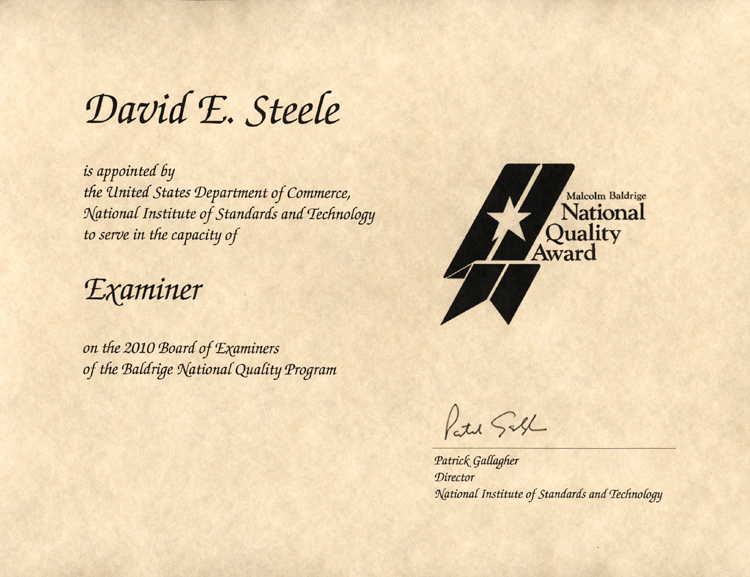 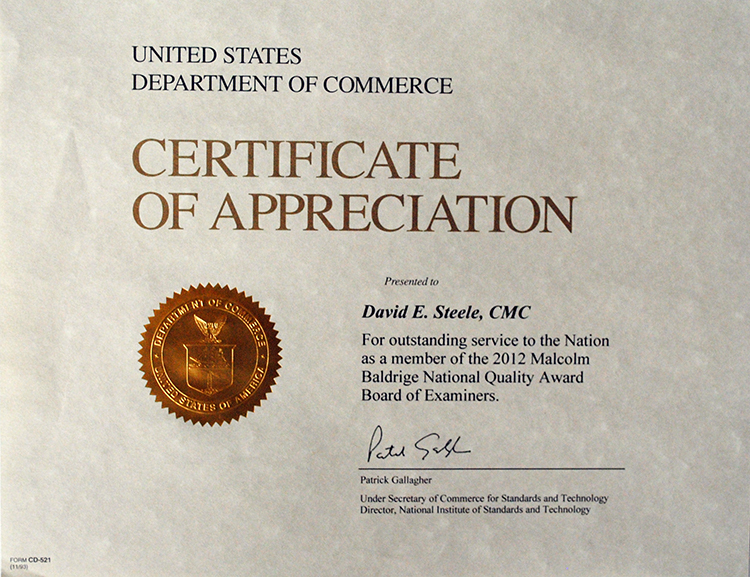 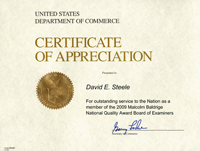 David Steele has been appointed by the US Department of Commerce as an Examiner for the 2011 Baldrige National Quality Award. David Steele has been appointed by the US Department of Commerce as an Examiner for the 2010 Baldrige National Quality Award. 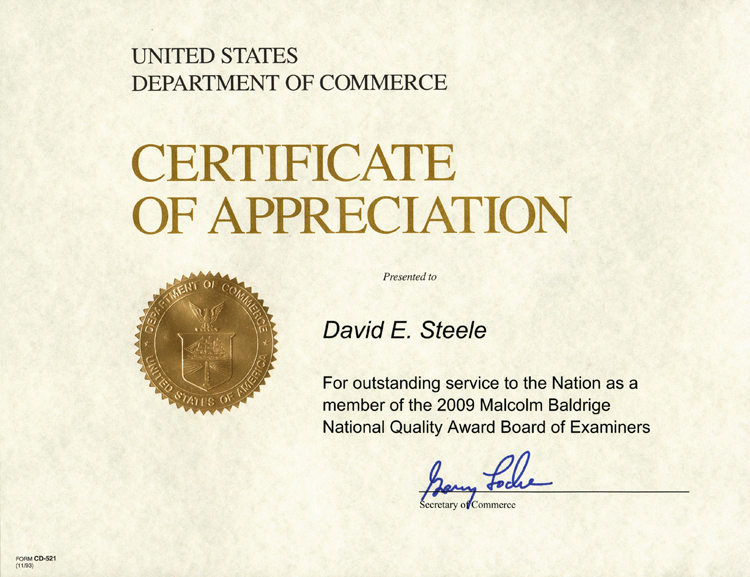 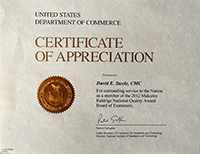 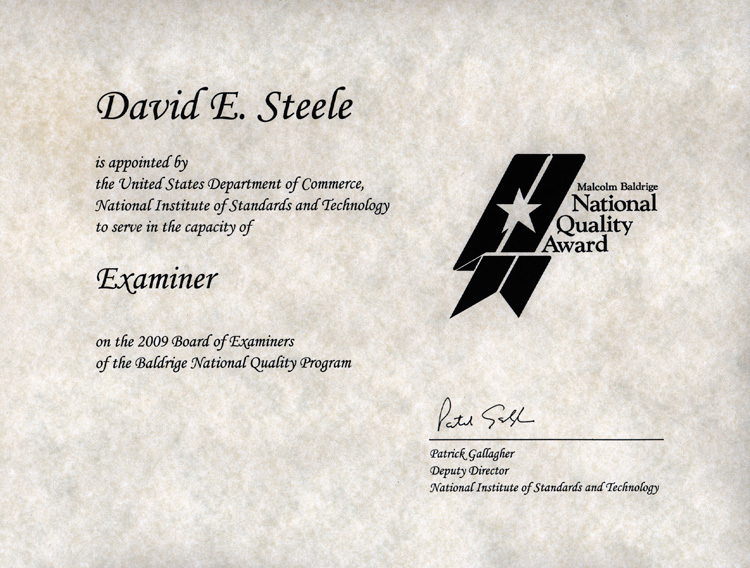 David Steele has been appointed by the US Department of Commerce as an Examiner for the 2009 Baldrige National Quality Award. 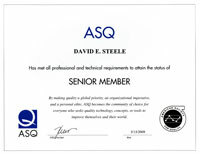 David Steele has achieved senior member status with the American Society for Quality and has been a member since 2006. 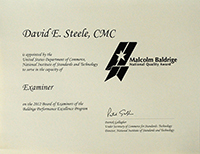 David Steele has met the requirements for Six Sigma with Lean Tools in residency at Underwriters Laboratories, Knowledge Services. 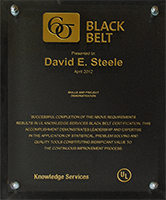 Curriculum includes: 4 weeks of formal class residency courses at UL, Comprehensive Written Exam, 2 Black Belt Projects. 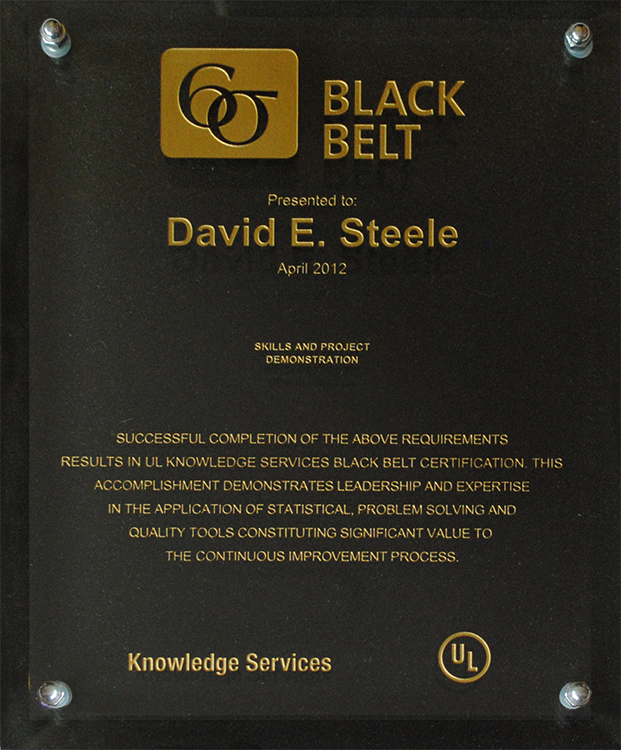 Steele has completed the residency program, comprehensive exam, and is a candidate for certification when both black belt projects are reviewed and endorsed (2014).